Junk Yard Dogs is our customized youth strength and conditioning class with a focus on developing well-rounded athletes. This class is taught by instructors who are enthusiastic and passionate about youth training, and they strive to not only develop great athletes, but great people. Our classes are all encompassing as well, focusing on injury prevention, general physical preparedness and healthy lifestyle habits. Athletes should anticipate not only increase their speed, agility, power, strength and endurance, but also learn about integrity, constant improvement and what it takes to be a great leader. Those who have completed our program are proficient and safe in any gym setting, and have gained confidence to crush any goal they might have. At this age, fitness is all about fun. 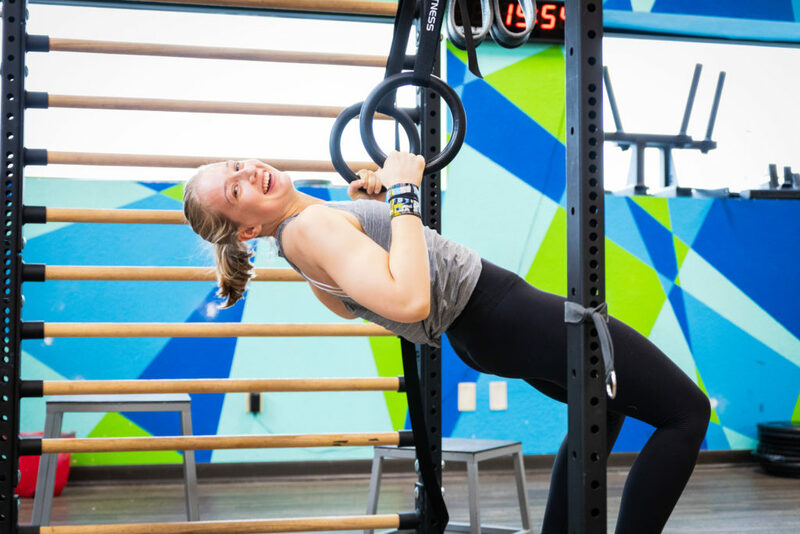 These classes are led by certified CrossFit Kids instructors, who are experts in teaching foundational movements to kids so they have a blast exercising and develop a lifelong love for fitness. Classes start with a warm up and move to a playful approach for skill work. Sessions will end with a “workout,” relay or game, which will leave your kids smiling ear to ear and excited to come back the following week. CrossFit Kids classes are free for the children of our $180 per month adult unlimited members. Junk Yard Dogs allowed me to overcome an injury and develop as an athlete in ways I never thought possible. The program and coaching helped me build confidence and strength both inside and outside the gym. I now have my CFL1 and work at a CrossFit gym in my college town, in large part because of the time I spent in JYD learning how to move well, work with other athletes and coaches, and have fun working out. Caitlin Schad is a performance coach and passionate about working with youth athletes. Growing up, Caitlin was a three-sport athlete always holding leadership positions on every team she was on. In college, she continued her love for athletics and studied kinesiology with a focus on gender equity in sports. Caitlin has a powerful presence that helps positively shape every athlete she works with. 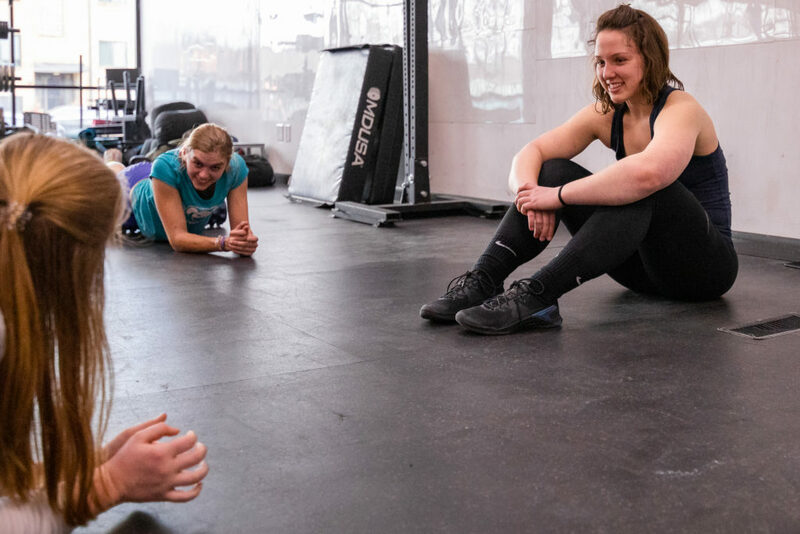 Caitlin strives to inspire the next generation of women, and is most proud when her athletes develop competence and confidence through strength training. Gunnar is a senior performance coach and spearheads our Junk Yard Dog program at Highland Park. Growing up, Gunnar was actually a Junk Yard Dog member himself, and used this program to supplement his various high school and college sports. 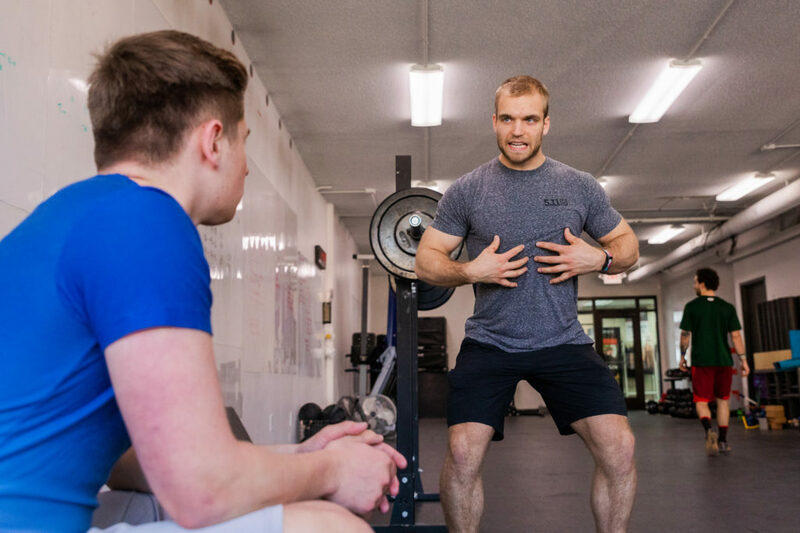 Through this program, Gunnar developed a love for CrossFit and competition and gained fundamental leadership skills and lifestyle habits that have all contributed to his success as a coach and as an athlete. Today, Gunnar programs for all Junk Yard Dog classes as well as integrates the program’s pillars of integrity, Kaizen and leadership into every session. It brings Gunnar great happiness when his athletes train to their full-potential and take what they’ve learned in class and apply it to other areas of their lives.